The woman who has won the most Michelin stars is underway with her partnership with Air France. 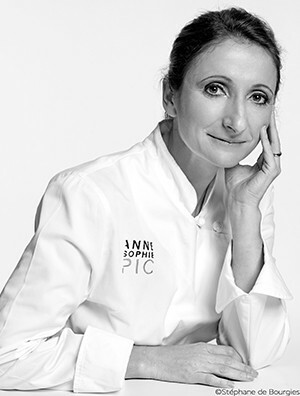 The proud winner of seven stars across her restaurants, Anne-Sophie Pic, signed a deal with the French flag carrier to create new Business Class menus that will be available until the end of March. During the month of February, flyers can expect poultry with tonka beans, voasti polenta and chicken sauce – or beef cheek in a coffee marinade, with celery, chestnut and carrots. In March, options include guinea fowl and cream of green peas in a black tea sauce, or pollock with creamy black rice, butternut and coconut curry sauce.